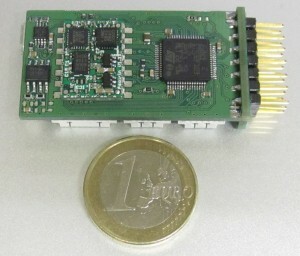 Is it possible to get schematics for Lisa/m, and where can one get more information about aspirine IMU ? There will be an article about Aspirin soon. 🙂 … But to calm down your curiosity, Aspirin is an SMD carrier board with power supply and EEPROM for an IMU-3000 3 Axis gyro, HMC5843 magnetometer and ADXL345 accelerometer. I’ll buy one as soon as it is available. I am designing my own UAV system with Atmel microcontrollers , and I’m currently evaluating options for pitch/roll detection. For 1st version of autopilot I will probably use thermopile sensors, but later versions will use some form of inertia measurment circuits. I’ve been following the Paparazzi project for a couple of years and I must tell you, I’m really excited about the direction it’s heading. Lisa/M (with the embedded Aspirin IMU) is an excellent concept. A more cost efficient, compact design, like Lisa/M will surely get more people interested in the Paparazzi project and autonomous flight in general. I’m definitely sold. Anxiously awaiting new details/availability. Thank you for all the awesome work on the Paparazzi project and please keep it coming. Merry Christmas and a Happy New Year to the Paparazzi team and community. how i can be the booz beta-tester ? or where i can order booz hardware ? i have high electronic skills and very interested in use paparazzi on my photogrametry jobs. Great to hear that you want to test paparazzi booz! You can buy bare booz pcbs on ppzauv.com, I’m not aware of any selling assembled booz main boards at the moment. At http://www.jobyrobotics.com you can buy the newest booz IMU. But I would recommend getting a Lisa/L (also jobyrobotics) or to wait for Lisa/M. It really depends what you are after exactly… Using Lisa/L might be interesting for you to connect some camera hardware to the gumstix running Linux. Lisa/M has the perfect combination of size and performance for me. Bring it on! Unfortunately I am not good with linux so paparazzi will be difficult for me. There is a solution. 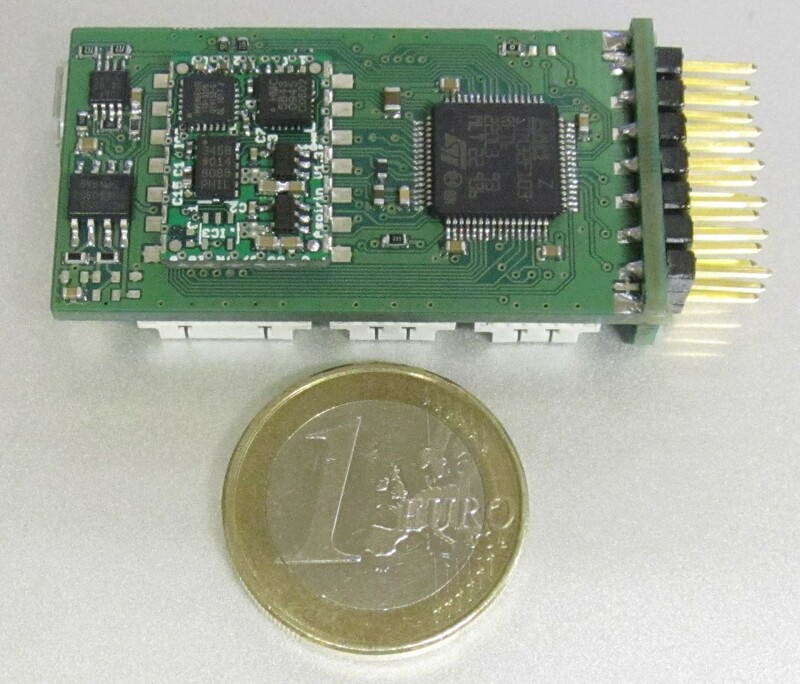 The Ardupilot32 project is porting the popular ArduPilotMega code to the STM32 processor. There is a possibility here for you to capture hardware volume in both paparazzi and ardupilot projects. Thanks to Marc S for directing me to this project. I would never have thought of it otherwise. Hey! Nice to hear from you. Thanks for the link to virtualrobotix we will definitely take a look at it. Still I think you are right that the hardware can run any autopilot software, and that we should take a look at the Ardupilot32 project. I am a win7 user but run VirtualBox for anything linux. I am just not that good at at it yet. Are any of you using CAN already? There is a group of us including the MAVlink team trying to define a CAN communication standard for UAV. At the moment it is loosely based on the ARINC825 standard. It would be great if all of the CAN items that people create in the UAV community would talk to each other. We would really like to avoid having many different standards. If you can put me in contact with any CAN users that would be excellent. We are using CAN to talk to the so called CSC’s (Can Servo Controller) … these are expansion boards that provide ADC input, PWM, Serial and so on and are being addressed using the CAN interface. There is a simple protocol implemented for communication to those devices from the autopilot. Lisa/L and Lisa/M are providing a CAN interface to connect to those. I am working also on Open-BLDC (http://open-bldc.org) … these motor controllers are intended for Quadrocopters and the clogic boards are providing an isolated CAN interface (earlier designs had a non isolated CAN interface). I have not decided on a protocol for communicating with them yet. All I have in software is only a test firmware, but implementing this interface is very high on my priority list, so I guess I will have to decide on a CAN interface protocol soon. Those look great projects. Just the kind of items we want everybody to be able to connect up. I can’t share the spec with you right now. It is in a very early draft. Hopefully I can send you something in a week. If you are getting desperate, let me know. My application to the dev mailing list did not work. Need to try again. Then I can stop cluttering your beautiful blog with off topic comments. This is a great project. Keep up the good work! I am also working on a quadotor right now and is there a chance to have the source code for the adaptive control algorithm? @Papyjac33 There should be more stock of Lisa/M with Aspirin next week. We plan to release the board files soon, but I can’t give you an exact date. For LISA/M with IMU how many weeks we have to wait to buy them..? For the Eagle files *.brd when we can hope to see them on Savannah CVS …?